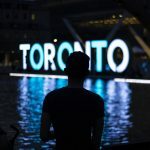 Toronto, Ontario, Canada happens to be located squarely on planet Earth and is connected to the Internet. That, along with the fact that it’s a delightful city, makes Toronto a fitting place to hold The World Conference of Online Learning. Virtually Connecting will be coming to you from the ICDE World Conference of Online Learning in Toronto, Canada from October 16th to 20th, 2017. We are excited to offer opportunities to connect virtually to the event and converse with the people at the conference. We have onsite buddies Helen DeWaard, Terry Greene, Jenni Hayman, and Jim Stauffer connecting you through virtual buddies Ken Bauer, Joseph Murphy and Mandy Honeyman. Virtually Connecting sessions allow virtual participants to engage in conversations with onsite participants – it’s mostly informal, like a conference hallway chat. If you’re interested in joining any of the Virtually Connecting sessions, please sign up using this form. Tweet us @vconnecting or leave a comment below if you have any questions. Title times are local to the conference site – scroll below to find the times adjusted for your time zones and the links to watch the sessions live or recorded, if you can’t make it into the session itself. If you’re new to Virtually Connecting, read more about us here. We will connect with onsite guests Jenni Hayman, Peg French and Joanne Kehoe. Our onsite buddy is Terry Greene (also one of the PMs – program manager that is!). at 1:30 p.m. with Tony Bates. We will connect with onsite guest and keynote Terry Anderson and he will be joined by Elizabeth Childs and Laura Czerniewicz. Our onsite buddies are Terry Greene and Jim Stauffer, virtual buddy is Ken Bauer. We will connect with onsite guest Diane Altinbeck. Our onsite buddy is Jim Stauffer. Part of what makes VConnecting special is the spontaneity – onsite guests may have to join us a little later than scheduled or leave early. Onsite guests are usually only available for 20-3o mins, but virtual participants can keep going if they wish to.